Stay with a host family. If you need accommodation while on your Spanish course, the best option is to stay with a Spanish host family. This will allow you the chance to really practise your Spanish outside the classroom and put into practise the things you have learned in class that day. Even if you’re just commenting on the news while watching TV over lunch, it all goes toward building your vocabulary and understanding more spoken Spanish. Take part in extra activities. All the schools we work with offer an extra curricular programme of activities to be taken outside of class. These activities will vary depending on which school you choose, the time of year, how many other students are enrolled etc. Activities may include: film nights, tapas nights, historical walking tours, sports, visits to local places of interest (La Mezquita, La Alhambra, La Giralda to name some of the highlights of Córdoba, Granada and Sevilla respectively). 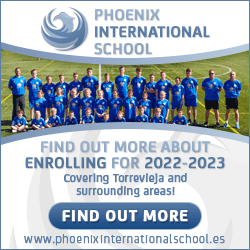 The benefit of taking part in these activities is that they are most often lead by teachers from the school so you can continually learn Spanish in the context of whatever activity you’re doing. It is an ideal way to pick up some of the language that you might not come across in a text book. Do your homework. In as much as learning Spanish should and will be fun, it’s still important to get your head down and get to grips with some grammar. Homework is usually set at the end of each class and might involve finishing something off that you have been working on in class, such as a letter or an exercise sheet. These are then briefly looked over at the start of the next class to make sure everyone is on track. And you can always ask for more if you find you are becoming a grammar junkie! Talk to the locals. 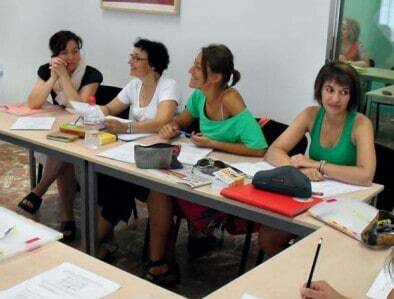 If you’ve decided on a Spanish course in Spain but you either already live close to the school or you decide not to stay with a host family, then you can still practise your Spanish on the locals. It is a great conversation starter to grab a coffee in a café close to the Spanish school and mention that you are taking a course there. Chances are you won’t be the first to have done this so you won’t be met with a confused stare. Get chatting about the course and your teachers and your future plans. Many a café-goer will be happy for the chat and you’ll learn about local Spanish life, pick up some new phrases and get more confident in your speaking. These are just 4 personally tried and tested ways of improving your Spanish outside the classroom and getting the most out of your course. Ask me about my own experiences with studying Spanish in Spain. Sign up to our newsletter or RSS feed to keep up to date. And if you’re feeling inspired, browse our destinations today and get yourself onto that course!